Welcome, Marilyn. Your new novel is called, Not as it Seems. Tell us a bit about where the story takes place. In this new mystery, Tempe and Hutch travel to Morro Bay for their son’s wedding. Morro Bay is one of my favorite places to visit and since Blair lives in Morro Bay it seemed a logical and fun place to set a mystery. Besides the monolith of Morro Rock, there are many places of interest in the area to incorporate into the story, such as the great hiking areas of Morro Bay State Park and Montana de Oro. The mission in San Luis Obispo also seemed like a perfect place to incorporate into the plot. During Tempe’s investigation into the maid-of-honor’s disappearance, she and her husband travel to Los Osos, Nipomo, Arroyo Grande, Avila Beach, and Pismo, places I’ve enjoyed over the years. I’ve included some real restaurants and a couple of made up ones, a motel we stayed at once but gave it a new name, many interesting places to visit, and other places real and imagined. We recently made a trip to the area so I hope I got most things right. I also sent lots of email messages to my friends who are fortunate enough to live there. They shared some details that I incorporated into the book. For those of you who have never visited, Morro Bay is on the Central Coast of California, though one of many beach towns, it has the quality of a quaint seaside village, unlike the hustle and bustle of the more southern beaches. If you have the opportunity to read Not as it Seems you’ll get a taste of an ideal vacation spot. You’ve whet our appetitie. Give us a short blurb about Not as It Seems. Sure. Tempe and Hutch travel to Morro Bay for son Blair’s wedding, but when the maid-of-honor disappears, Tempe tries to find her. The search is complicated by ghosts and Native spirits. I’ve heard you have an interesting twist to your books called The Character Naming Contest. Tell us about it. It’s simply this, I’ll name a character after the person who leaves a comment on the most blogs I’m visiting. 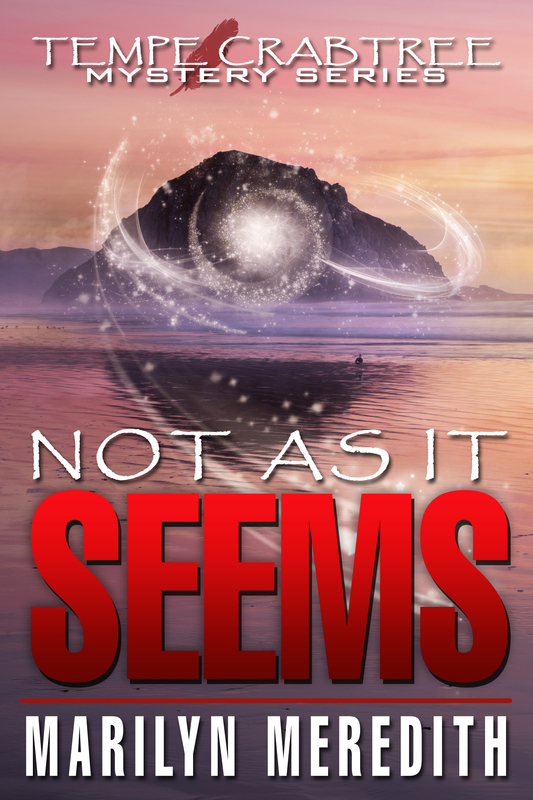 Tomorrow I’ll be stopping by Amy Bennett’s http://amybennetbooks.blogspot.com and explaining why I’ve included some interesting tidbits about Ethiopia in Not as it Seems. Marilyn Meredith now lives in the foothills of the Southern Sierra, about 1000 feet lower than Tempe’s Bear Creek, but much resembles the fictional town and surroundings. She has nearly 40 books published, mostly mysteries. Besides writing, she loves to give presentations to writers’ groups. 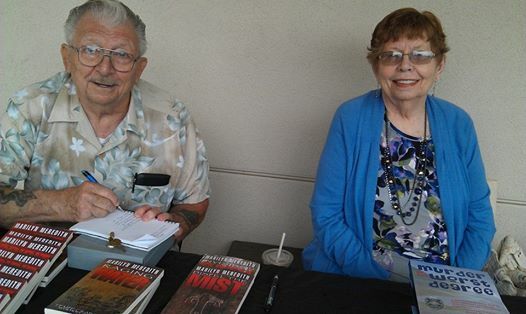 She’s on the board of the Public Safety Writers Association, and a member of Mystery Writers of America and three chapters of Sisters in Crime, including the Central Coast chapter. Thanks, Marilyn. It’s always my pleasure to host one of the most prolific and successful novelists around. John, this isn’t supposed to go up until Sept. 20. I guess you were just letting me know. John, I’m having trouble with my iPad trying to comment. Thank you for having me today, I’m always happy to visit. I finally got to visit the California coast last year and fell in love with Monterey! I definitely want to go back and visit Morro Bay! Thanks for whetting my appetite! I just wish I had some vacation time coming soon! Hi, Amy, it is beautiful here. Today it is really hot. I visited Monterey last year and fell in love with the California coast! Now I want to visit Morro Bay! Thanks for making me want more vacation time! I love Marilyn’s books & especially this one set right in my backyard! Great cultural & spiritual aspects of Tempe revealed, so get a copy! Hey, Victoria, I’ll see you soon. I’m all set up. Love the area–used to vacation there when we lived in Calif. Looking forward to revisiting it with Tempe! As usual, Marilyn manages to add something new and interesting to every article she posts. Have the book, all I need is time to read now. Hi,Nancy, daughter and I are here now and they’ve had the hottest days of the summer! Hotter than the foothills at home. Jackie, I hope you’ll enjoy the book. Thanks for stopping by. Thanks to all who stopped by. It’s been years since I’ve visited Morro Bay, and you’ve made me want to make a return trip. Looking forward to the new book! 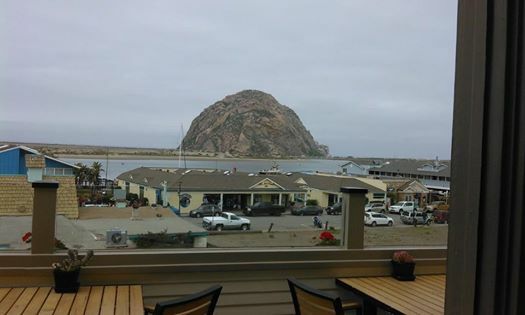 Hi, Marja, I love heading over to Morro Bay and the surrounding beaches.